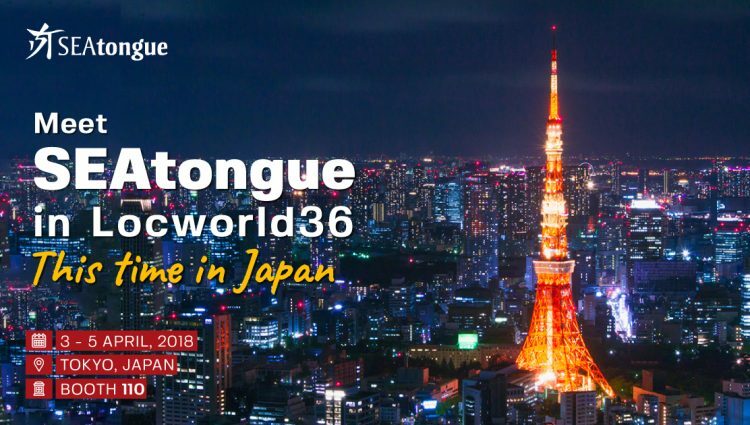 The language experts at SEAongue are eagerly awaiting the upcoming Locworld36 conference in Tokyo, exploring the changing needs of the digital space – and what this means for companies and consumers. As experts and market leaders in Asian languages, translation and localization services, SEAtongue knows all about clear communication, and the difference this can make in business. As the company expands its current base of operations to include Japan, the firm intends to increase team productivity and stay ahead of the pack in Japanese translations. The Locworld36 conference looks set to be the best yet, with a theme based on ‘Digital Transformation’ and how companies can rise to the challenges they currently face as a result. From designing better user experiences to exploring the way the digital world is changing business and society for good, the conference will look at how workers in the localization space can learn and grow from the challenges they face to forge ahead with stronger and more future-proof organizations. For SEAtongue, it’s a natural progression to exhibit at the event, offering the company a chance to meet with other professionals facing similar challenges and opportunities head-on.